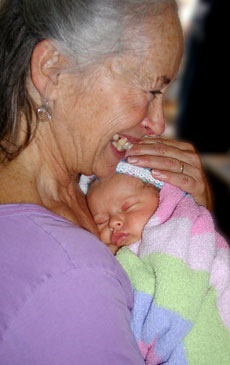 Many couples prepare carefully for the birth of their child, taking classes, becoming educated about the physiology of birth, engaging a birth doula, learning techniques for managing labor, and writing birth plans. Often they will also obtain clothes and car seats, strollers and diaper pails, and many other accoutrements of life with baby. Frequently, however, the reality of caring for a newborn is overlooked in the planning. The arduous climb of labor to the peak moment of delivery is inevitably followed by the tiny bundle in the arms. This is the first moment of the rest of your life…you are now a parent. The responsibility of care is no longer handled by the body’s wisdom within the womb, but belongs entirely to parents, who may or may not have support from close family and friends. The new mother will be physically depleted from pregnancy and delivery. Her most essential needs are for rest, nourishment, plenty of fluids, a cozy place for her and her newborn, and compassionate attention. A doula is a person she can ask the many questions that will arise about newborn care and behavior, breastfeeding, conflicting emotions and her own physical changes. Someone willing to change her sheets, make her lunch, wash the dishes, do the laundry, and tenderly hold her infant as she naps. If she has older children, their needs can be met by the doula in a friendly, competent way, helping them to enjoy the changes in their world. This birth represents a major transition within the family structure, whether it is the first or the fifth baby. Newborns have needs. An experienced doula is someone who understands how to gently recognize and meet those needs, and can share insights with new parents. She is educated in breastfeeding support and knows where to go for more information. Her willingness to serve extends from compassionate listening to diaper changes; rocking the newborn to sleep or sweeping the floor; reading stories with a two-year old, making his lunch or taking a walk together; showing a new dad ways of soothing a fussy baby and teaching parents how to use baby wraps and carriers; leaving the kitchen clean so dad can enjoy the family; these and many other small things can make the difference between a stressful day and a harmonious day. Postpartum can be a time of dramatic ups and downs, and the assistance of a competent doula can increase the fun and decrease the tension. Over the first few weeks, the new mother will regain strength and develop confidence in her abilities as a mother. She will establish a comfortable feeding routine with her infant and learn ways of caring for her own needs as well as for her home and family. The doula’s job is finished when the mother and child are firmly rooted as a functional couple and the mother’s physical and emotional stability is established. Wow – I didn’t know about this website of yours!! How cool!!! We leave for the Big Island on Nov. 11, and are staying a week in Kona at AL’s Kona coffee farm, and then another week in Volcano – we cannot wait!! I’m going to re-read the copy of the beautiful Waimea Williams’ “Aloha Kaua’i” book you gave me!!!!! And I’ve been listening to Hawaiian music nonstop on Pandora.com – I love it all! xoxoxoxo hope you had a wonderful b-day! This sounds WONDERFUL! thank you for your work Salle. this is SOOOOO necessary! Thank you Sunni for recognizing the value of good postpartum care. It is the awareness of people such as you that will uplift our attitudes and practices toward mothers and infants.